The South Sefton Development Trust also manages a £6.5m purpose built office block in the heart of the administrative quarter in Bootle. The revenues for this will enable us to fulfil our employment support role. The building also contains a 22-space incubation unit for new start businesses. Now 80% full, with a range of blue chip commercial companies, private SMEs working in the health sector, small third sector organisations and the regeneration department of the local authority. SSDT has just secured almost £300,000 to develop and deliver a European-wide Ignite programme with partners in Cyprus, Bulgaria, Lithuania, Sweden and Germany. Pilot courses will be running in Summer 2012 – so watch this space! South Sefton suffers high levels of deprivation, high rates of ill health and high unemployment. At a neighbourhood level, through our Taking Root activities (collective of community gardens) we aim to support people to thrive by improving health and well-being through healthy eating, physical activity, growing confidence and sense of achievement, and contributing to positive mental health by combating isolation and connecting communities. Further, some areas South Sefton suffer high levels of air pollution, due to the proximity to the port, the built up urban environment and heavy traffic. Greening up Bootle not only promotes civic pride, it also contributes the cleaner air strategy, as plants contribute significantly to the absorption of air pollutants. We aim to expand access to opportunity, improving confidence and employability, contributing to local economic improvements and more confident residents in our local communities. 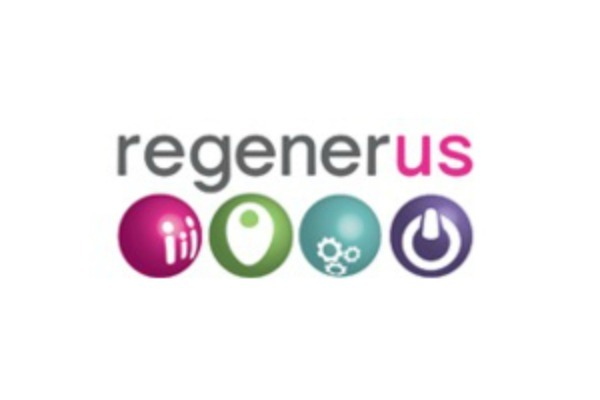 Regenerus delivers its objectives through four main areas: Community; Culture; Enterprise and Skills. We focus on engaging local residents in confidence building and skills development activities to improve employability, and also facilitate enterprise and social enterprise development. Taking Root in Bootle is building the collaboration between communities and social enterprises, to grow an environmental ecosystem, linking community gardens and growing, food and health projects in South Sefton. A key activity of our Taking Root activities involves working directly with people in our local communities, supporting existing groups and developing new groups of volunteers to establish community gardens, learn new skills and grow their own fruit and vegetables. Additionally we facilitate lots of creative networking events, to strengthen connectivity between and across local communities, social enterprises, private sector business and the local authority. Regenerus is the lead partner in Tomorrow’s Land which has created new approaches and resources to inspire social innovation, working alongside partners from Portugal, Denmark, Italy, Germany and Latvia, to create a more collaborative economy by fostering the next generation of social innovators to find new solutions to local and global challenges faced by society. A second project, Unravel Tomorrow, builds on the success of the Tomorrow’s Land project. Again, we are lead partner and responsible for project management. Unravel Tomorrow builds on the foundations of Tomorrow’s Land and will design a learning journey to meet the needs of European society and economy, to equip future pioneers with the knowledge and competences to succeed as social entrepreneurs and social innovators. As partners in Feedback, we are developing arts-based approaches to sharing feedback with learners, and resources to benefit educators and learners in non-formal, formal, academic learning environments and the work place. We are increasing the numbers of community gardens and green corridors, engaging local residents to work together to implement environmental improvements to our local area. As at September 2018, we are working with 93 volunteers in 21 existing and developing groups. We have delivered accredited horticultural training to our community gardeners, to test levels of interest in adding vocational training to their volunteering experience. We designed a new learning experience to reflect the range of skills that participants gain through gardening and registered this course with Open Awards at basic entry level 2. Eager to expand their knowledge and gain recognition through accreditation of their new skills 18 volunteers successfully completed the horticulture course and achieved the award. Feedback from the horticulture training project demonstrated the impact of participating in community garden groups, getting involved in environmental work, being active and making new friends which all contributes to reducing isolation, increasing confidence and improving health and wellbeing. As one of our volunteers told us, “I really enjoyed working together to establish our community garden, getting active, making new friends and seeing the results of our hard work. Gaining a qualification to show what I’ve learnt makes me feel really proud of myself”. Sefton MBC invited the Charity to manage The Environmental Improvements Fund, which offers grants of between £250 and £1,000 to new projects developed by local people in the Linacre electoral ward, enabling community organisations and informal groups of friends or neighbours to join forces to work together to improve local “grot spots”. The fund was launched in September 2017, with applications being invited quarterly, resulting in 8 projects receiving grant awards to date. Creating new experiences for local partners, we co-created a week long workshop for trainers and educators from across Europe, which not only introduced new approaches to delivering learning experiences, it also presented the opportunity for local partners to meet and share and exchange knowledge with European trainers, introducing different perspectives and leading to new relationships. As noted earlier, currently evaluation is undertaken on a project/activity level, so for example: volunteer community gardeners complete 6 monthly surveys comprising self-assessment scale questions relating to health and well-being, confidence and connections; we always gather feedback on completion of events and training workshops, and capture stories of journey travelled and impact from our stakeholders. We plan to produce a social impact report for Taking Root to March 2019 and to build on this annually, to capture all our results and present them against objectives. Awareness raising and promotional events (social enterprise and social innovation as opportunity) 105 delegates, leading to collaborations and new social enterprise/project developments. 2 local participants being supported to travel to Porto, Portugal to join 26 potential social innovators from across Europe in a creative design thinking experience, tackling “real” local challenges and developing socially innovative solutions. Tomorrow’s Land Training the Trainers workshop, expanding horizons and opening up the potential for new connections across Europe – “It was a great, I’ve never had the opportunity to work with so many people from different countries, to share perspectives on social innovation and to make such great connections”. Green corridor – North Park to South Park – 3 of our community garden groups of volunteers worked collectively on car park planters on Stanley Road along a busy main road. Spring Bulbs and summer plants installed with bright bee themed art work, a local resident stopped to tell us “We love what you are doing here, my daughter always stops to count the bees”. Taking Root horticulture training - strong friendships came out of the learning process. Learners were able to meet at different gardens to discuss their designs, planting and ‘people places’. It gave them a more social element to the course. As a member of the group told us, “I have made new friends and one particularly wonderful new friend, Anne-Marie, who lives so close to me, but I would NEVER had known her, had I not become involved in the project. She is one of the nicest people you could wish to meet and her support of me has been invaluable”.